Allow me to present a new LA Kings Insider recurring feature – one that has actually been in the planning stage for over a year. During the season, whether on social media or in LAKI commenting, I get asked questions about certain aspects of the team’s play, travel, logistics and organizational structure. I try to answer these questions the best I can, but thought, ‘why not get the answer from someone more learned and ask a player?” And thus introduces LAKI’s Teach Me series, which will regularly ask a player on the team about an aspect of their profession or role that may not immediately be known by the general, hockey-watching public. We’re planning on tackling a ton of topics that might not otherwise be germane to the daily question-and-answer scrums that take up so much of our time between 11 am and noon. What is getting traded like? How would you describe playing in Montreal? What kind of a teammate was Colin Fraser? How do you deal with reporters and the media? How are rookies treated? How do nicknames stick? All of these topics – and many more – will be covered in the Teach Me series. So, you may have heard that Jaret Anderson-Dolan is poised to become the first teenager since 2010 to play for the LA Kings. It’s true! He might not get into Friday’s game – at practice on Wednesday, he was skating as an extra forward – but should he get into a game in October, which seems like a fair bet, he’d become somewhere between the 10th and 13th youngest player to ever play for the Kings and the 21st teenager all-time to play for the Kings. 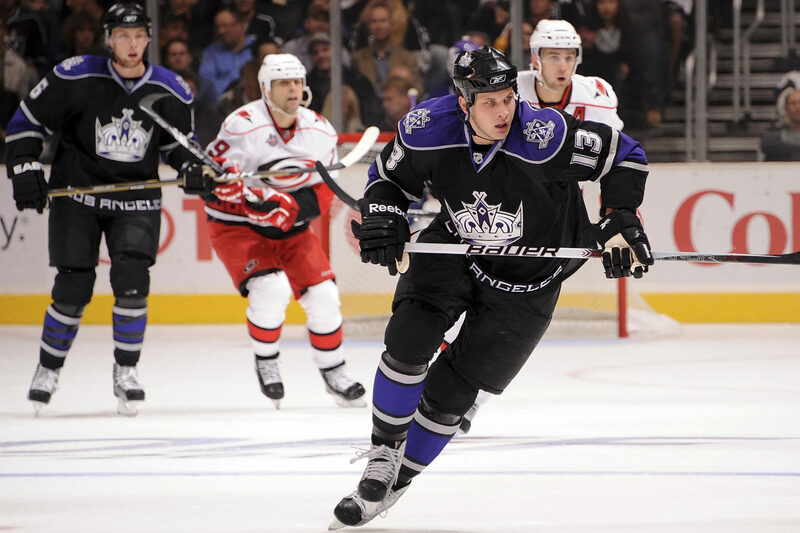 Kyle Clifford remembers those days! 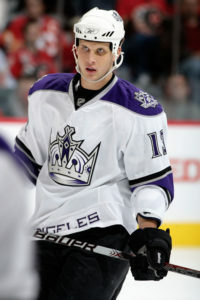 Clifford made his debut at the age of 19 years, 269 days when he and the Kings opened the 2010-11 season with a 2-1 shootout win at Vancouver on October 9, 2010. During the second period that night, Clifford absorbed a major head shot from Alex Edler, which drew a two-minute elbowing minor but did not elicit a suspension. 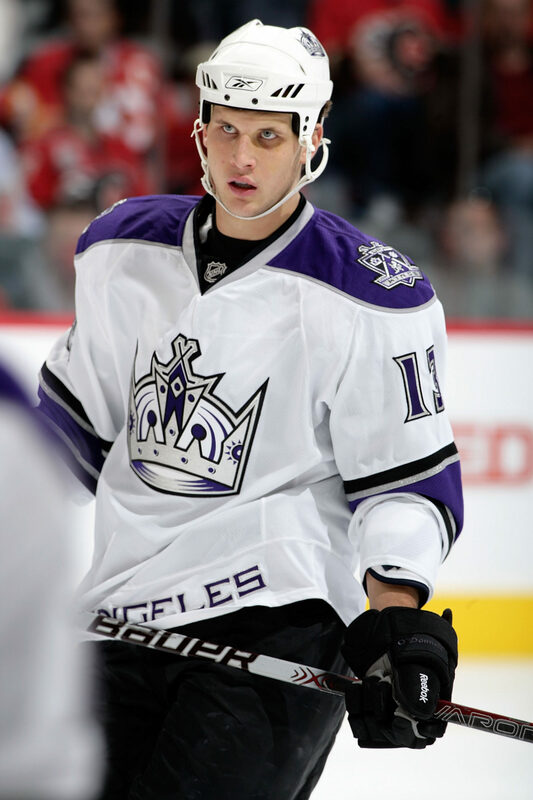 One night later, Clifford played his second career game when the Kings dropped a 3-1 decision in Calgary. On October 28 at Dallas, the player who literally fought and willed his way onto the 2010-11 Kings engaged with Brian Sutherby in his first (very brief) NHL fight. And on Wednesday, with a trademark grin on his face, reminded Anderson-Dolan while in the dressing room after practice that he had been the previous teenager to play for the Kings. On Wednesday, Clifford spoke about his teenage year in Los Angeles with LA Kings Insider as part of the Teach Me series. Just taking it in. My agent at the time was actually Kyle Dubas, and he was telling just to breathe, enjoy it, take it in. It’s just one of many. [Reporter: Were you nervous at the time?] Yeah, leading up to the game and then the first shift, I was kind of nervous, and then after it got over, it was just playing another hockey game. Oh, it was a while. It was 12 games or nine games or something. It was against Dallas. I don’t remember who it was, though. [Reporter: Do you remember winning, or do you even remember being in the heat of the moment for that?] It was short. It wasn’t very long. I don’t even remember who it was. It’s funny, the training camp before, there was no pressure because you just thought you’re coming in and you’re going to do your best, and the chances of not making the team, you’re probably going to go back to training camp. I was fortunate enough to have a real good camp and put the work in, and then the next year I kind of put a lot of pressure on myself to make the team. I had to work through that and work with it and use it to motivate myself. I remember they made one of the Sedins captain, so they had a whole ceremony before. It was dragging out. Vancouver was a good team. … They were a great team, and we won, so it was a good feeling. It was just a quick turnaround. You get on the bus, on the plane, off to Calgary. Yeah, me and Wayne got along really well. Similar game, he obviously scores a lot more goals. But, that gritty side, he helped me a lot along the way that year. It was huge. It was really disappointing to see him get traded, because he was really a guy that took me under his wing and helped my game. [Reporter: Who were other guys on that team that helped you when you were a teenager?] You know – Brownie, obviously. Now he’s just a born, natural leader. You had Michal Handzus, who didn’t really help me away from hockey but helped me on the ice, like just a lot of little things. He taught me a lot. He had a lot of knowledge of the game. He was so smart. Matt Greene, Jarret Stoll, the list goes on. We were stacked. Justin Williams. You could name 15 guys. I was pretty fortunate to have such a strong group around me. You learn a lot. It’s a long year. There are a lot of ups and downs. That’s what you work for – you work for playoffs. I remember Kopi got hurt, so me, Richie and Wayne Simmonds were playing together, and we talked about how we were going to have to elevate our games to try and get through the series. I thought as a line we did really well. I never really got into that. I roomed with Trevor Lewis, and we played a little bit, but we never were video game addicts. We did stuff. We got out, we went out for dinner. We got out of the house. It wasn’t like today, like technology’s just taking over.